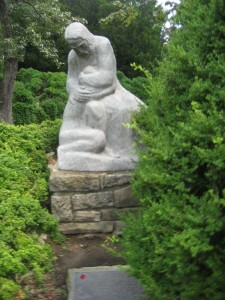 In my article “The Lure of the Land”, I said that I get a true sense of place by knowing it’s flora and fauna. When traveling I focus on the mix of the people in the area- their accents and mannerisms; and the landscapes. It is how I best remember a place. 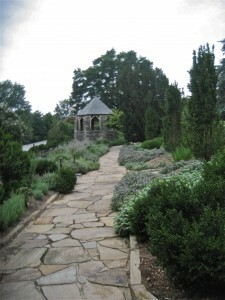 In August my sister and I went to visit a close friend in the D.C. area. 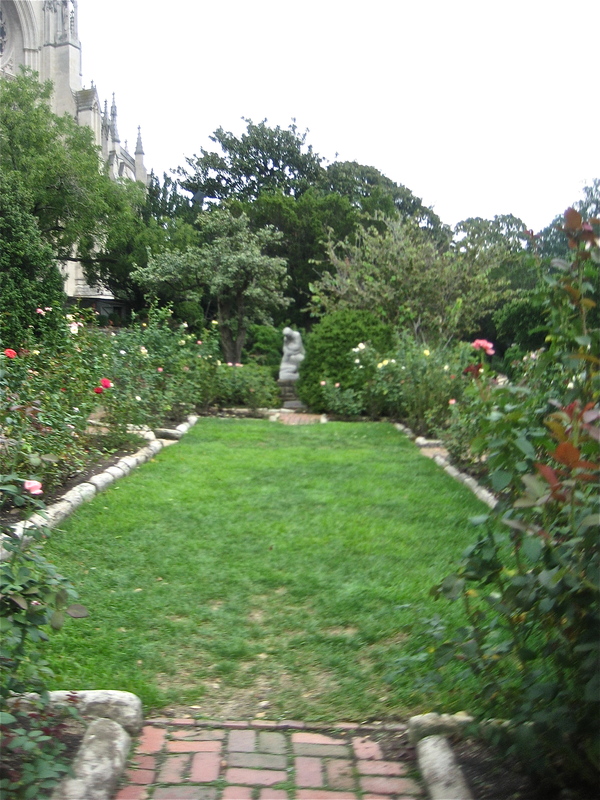 Along with fabulous sight seeing, shopping excursions and seeing Mary Poppins at the Kennedy Center, a visit to the National Cathedral Bishop’s Garden was a highlight for us. 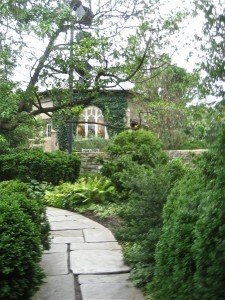 We entered the door onto a stone path that meandered underneath the shade of massive trees behind the Herb Cottage. “The soul that walks in love neither tires others nor grows tired”.- St. John of the Cross. 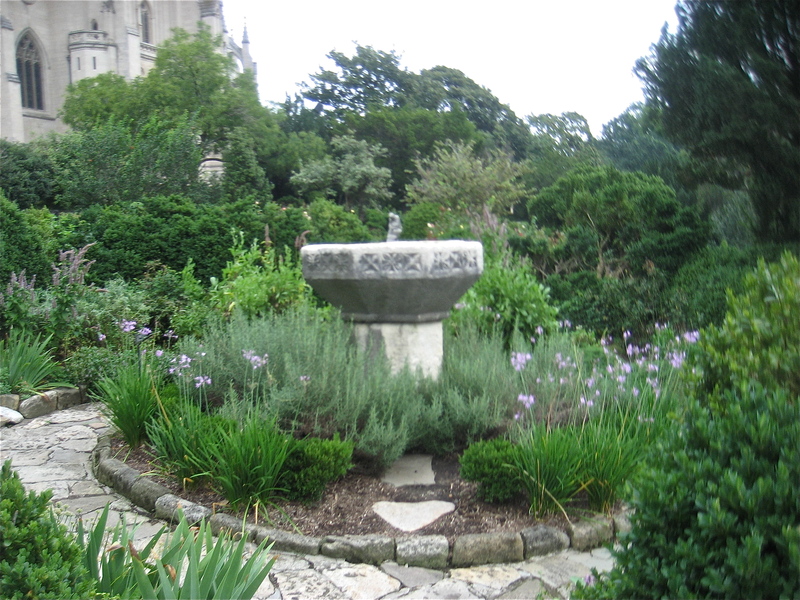 A baptismal font from Charlemagne’s time :742-814. The rose garden and the Prodigal Son sculpture. 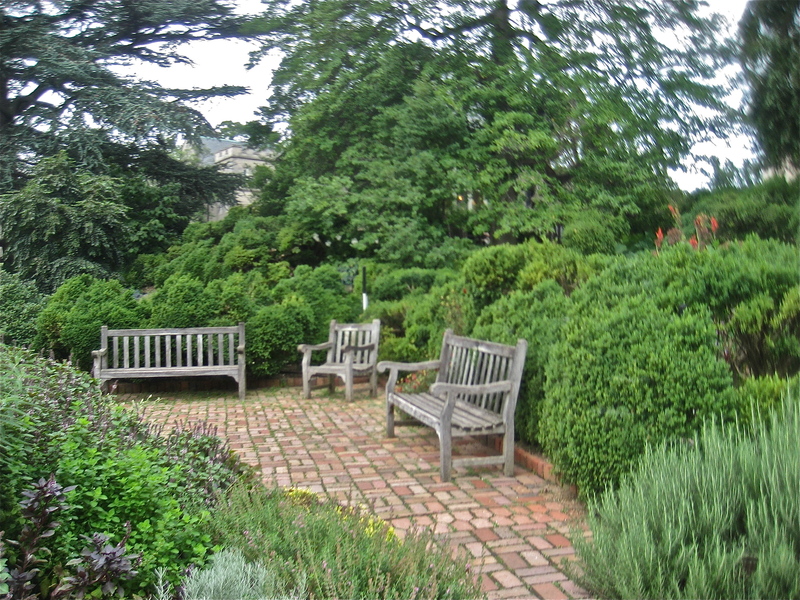 A seating area for reflection along the perennial border. A combined effort of Fredrick Law Olmsted, Jr. and Florence Bratenahl, the wife of the first dean of the Washinton National Cathedral, turned the surrounding acreage into a haven in the center of a bustling political city. The gardens are maintained by the horticultural staff of the All Hallows Guild, founded in 1916. For more information and photographs click here. I was there in August when many of the flowers were past their prime, but the grounds are so beautiful on their own with the stone work and classic architectural elements that it has a luring and peaceful appeal for each season. 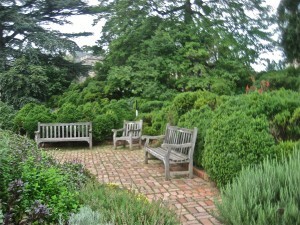 During your next trip to D.C. put your Soul in Balance by spending some time in the gardens. Gosh, oh gosh, I wish I had a garden like any part of this. 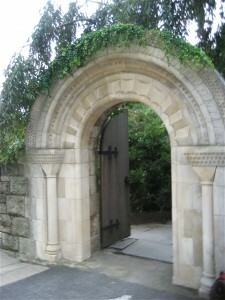 Thank you for sharing these images, all that stonework is so inspiring.